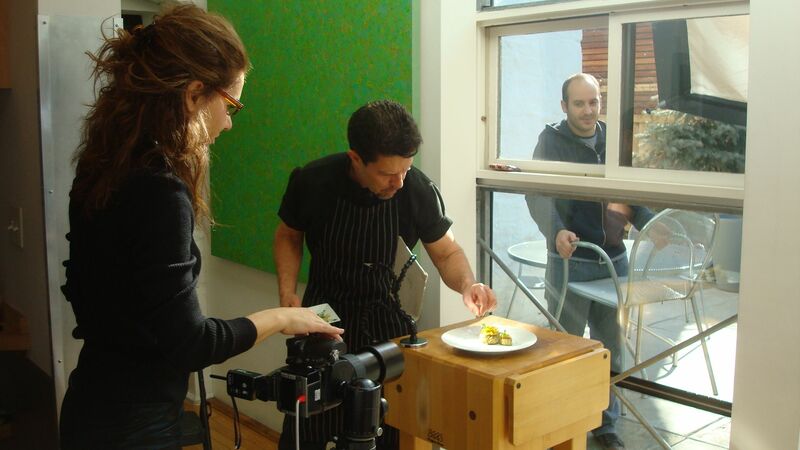 Taking the photographs for our cookbook was an amazing, exhausting, and new experience for me and Robert. The team of professionals we worked with make us really excited to see the finished product! I love the above photo because it shows much of what goes on around what is actually being photographed. The chair being held up outside on the patio provided a background for the finished shot. Here is part of a potential shot for the cover. The book’s concept is flavor combinations of three, so we separated three flavors to be show, as well as a plated food shot. This combination was “lobster, paprika, cream” for a lobster bisque recipe. We got instant feedback on every shot that was taken on a computer hook-up. It allowed us to adjust the lighting or how the food was placed for maximum effect. I can’t wait to see it in print! Can I have the lobster bisque recipe now? It would be perfect for dinner tonight! Sorry – you’ll have to wait until the book is released – in October (I think)!! Wonderful blog! 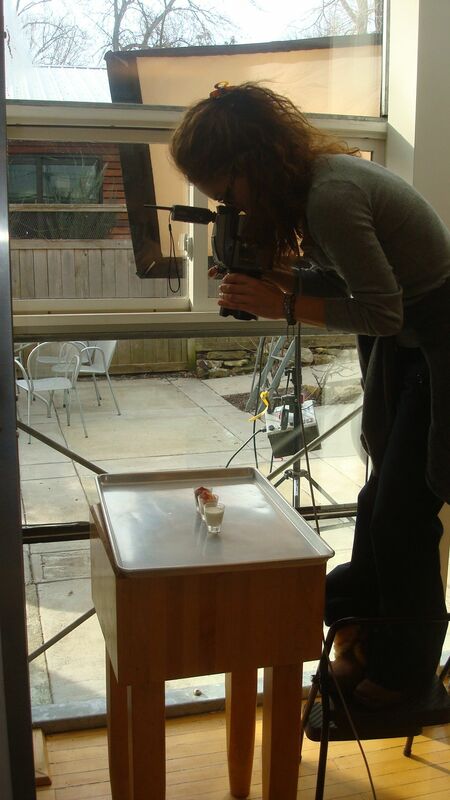 Who is doing the photography for your cookbook? And good luck with the new restaurant!